Software is typically developed incrementally and released in stages. Planning these releases involves deciding which features of the system should be implemented for each release. This is a complex planning process involving numerous trade-offs—constraints and factors that often make decisions difficult. Since the success of a product depends on this plan, it is important to understand the trade-offs between different release plans in order to make an informed choice. 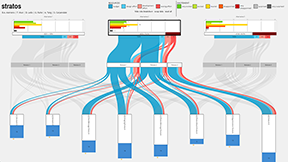 We present STRATOS, a tool that simultaneously visualizes several software release plans. 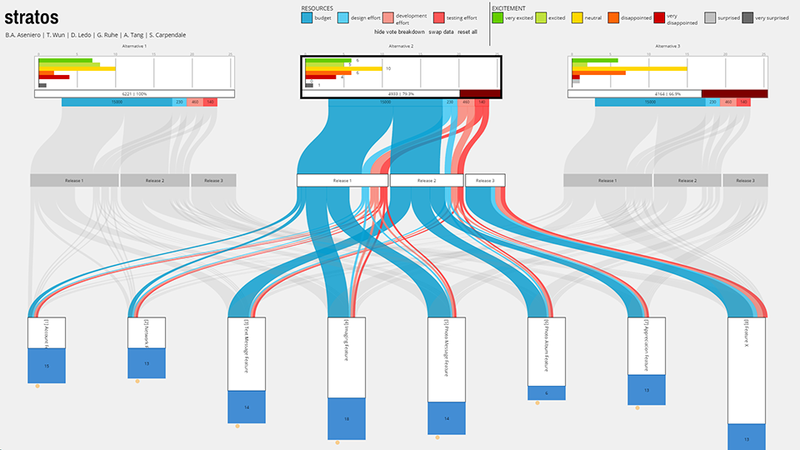 The visualization shows several attributes about each plan that are important to planners. Multiple plans are shown in a single layout to help planners find and understand the trade-offs between alternative plans. 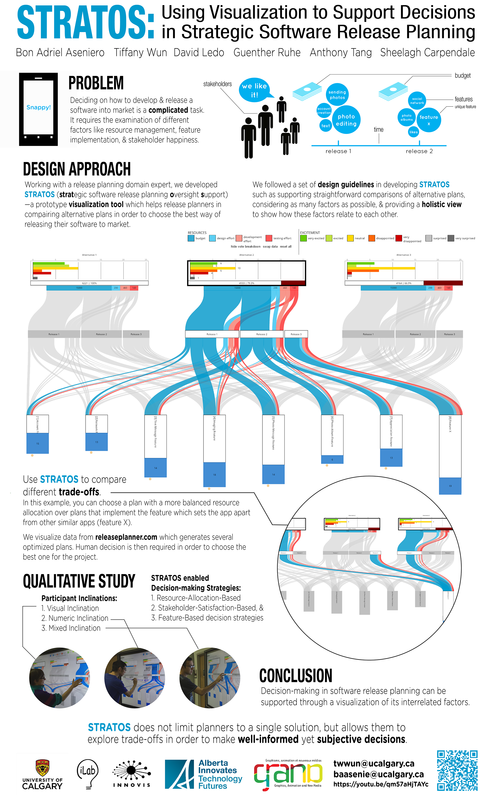 We evaluated our tool via a qualitative study and found that STRATOS enables a range of decision-making processes, helping participants decide on which plan is most optimal.